In a press conference in China, Xiaomi announced that is all set to launch its Redmi Note 5A on August 21. The Redmi Note 5A has been frequently making rounds to the rumour mill since the past month and it was also seen listed on the TENAA website earlier in the week. Soon after the launch date of the device has been announced, a new detail about the upcoming Redmi Note 5A hit the web. According to the latest leak posted on Weibo, a Chinese social networking site, the Redmi Note 5 will come with a soft flash accompanying the selfie camera, up front. If this leak is any true, then the Redmi Note 5A would be the first Xiaomi smartphone to feature a selfie flash. With the rise in selfie trend lately, smartphone makers have been keen to include a front flash to offer enhanced illumination while taking selfies in low-light conditions. Oppo and Vivo were some of the first ones to introduce the front-flash and now it looks like Xiaomi is also taking a page from their book. As for the other key specs, the Xiaomi Redmi Note 5A features a 5.5-inch display with HD (1920 x 720 pixels) resolution and is internally powered by a Qualcomm Snapdragon 625 processor. The chipset is coupled with 3GB of RAM and 32GB of internal storage for the base model while a second variant comes with 4GB of RAM and 64GB of internal memory. In the imaging department, the handset sports a 13MP rear camera along with a 5MP front-facing camera. The Redmi Note 5A sips juice from a 3,000mAh battery and comes with a front-mounted fingerprint sensor. As far as the pricing is concerned, the Redmi Note 5A is expected to be priced around the 999 Yuan mark, which translates to approximately Rs. 9,500, for the 3GB variant. The 4GB model will most likely cost around 1,199 Yuan (Rs. 11,500). The device will be available in various colour options of Gray, Black, Silver, Pink, Gold, Red, and White. 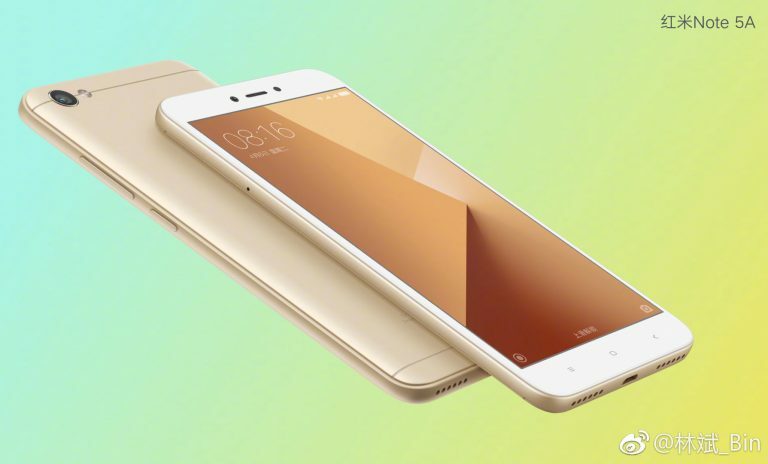 As for the availability, the Xiaomi Redmi Note 5A is currently being launched only in the China, however, we can expect the phone to arrive at the Indian markets soon, since sales of budget smartphones in the country seem to always be on the rise. Since Redimi Note 3, Xiaomi devices are being sold in India like hot cakes but their quality is a concern. Redimi Note 4 recently exploded.